Now for the first time, there is a chance for experienced knitters to attend a whole-day workshop on knitting an Icelandic sweater, the traditional Icelandic lopapeysa. Participants need to know how to knit in the Continental way and should bring needles they are comfortable with. A comprehensive full-day workshop about knitting a lopapeysa, the famous Icelandic wool sweater. The workshop is held on Wednesdays, from nine in the morning to five in the afternoon, including a short lunch break. This knitting workshop is suitable for knitters who are confident knitting the Continental way. In this one day knitting workshop we will cover how to assemble the sleeves and the body, knitting with two colors at the same time, a technique for decreasing and a few ways of casting off, among other things. 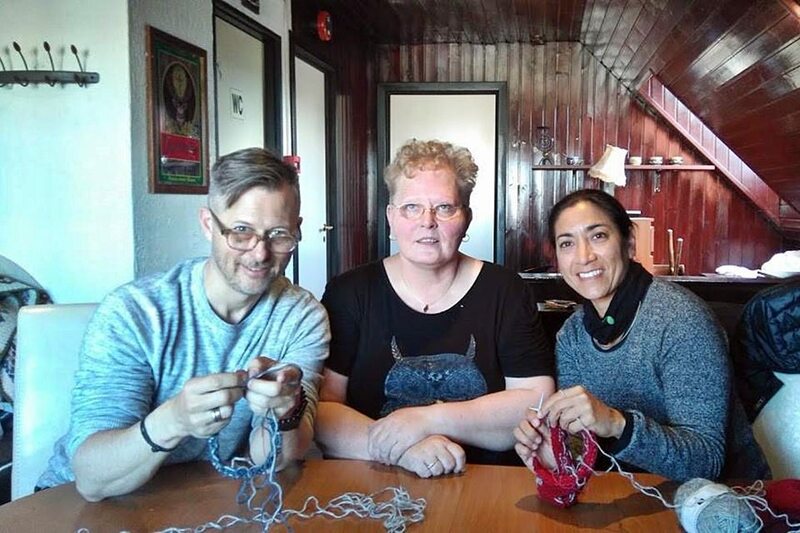 This is a wonderful opportunity, whether you are interested in improving your knitting skills and would like to discover Iceland´s knitting traditions and history while enjoying a great knitting time together. I will be very excited to share my knitting knowledge with you. I will endeavor to give you the best of Iceland, its hospitality, and culture. and embroidery when I was young and taught me to knit when I was 6 years old. "I lucked out and was the only one at the 4 hour knitting workshop with Ragga. Wow, she is terrific! I learned new knitting techniques (I'd say I'm an advanced beginner level) and learned a lot about Icelandic wool and what makes it so special. I cannot say enough good things about my knitting workshop with Ragga. She is a wonderful teacher and very kindhearted person. Highly recommend!" 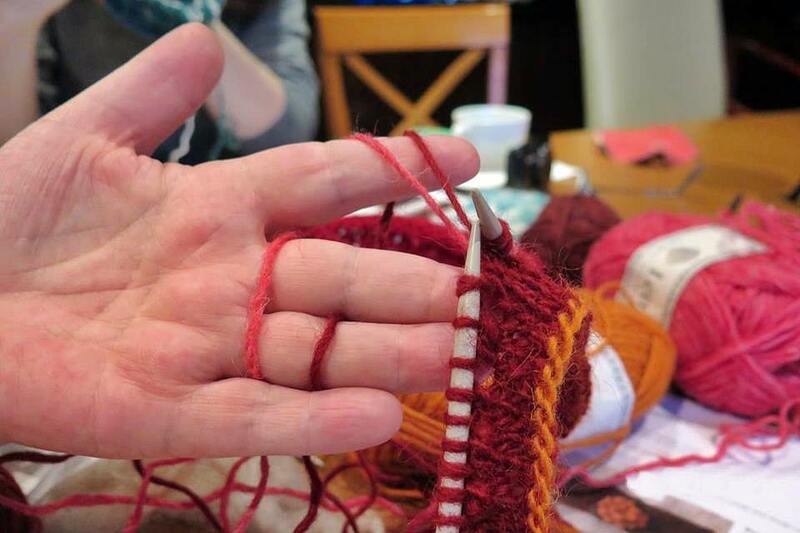 "I booked this workshop on a short trip as I'm interested in knitting (obviously) and wool and I wanted to spend a little quiet time on a trip that I know would be amazing in its extremes. I also wanted to spend time with a local Icelander with a shared interest. Ragga was welcoming , patient , interesting and informative . The included lunch was very easy and pleasing in its content and environment (vegetarians etc easily catered for) Ragga went the extra mile and drive us to the wool shop and the local geothermal pool Where we had said we were heading (also recommended if you want a good view a normal lane pool and a hot tub to sit in)."